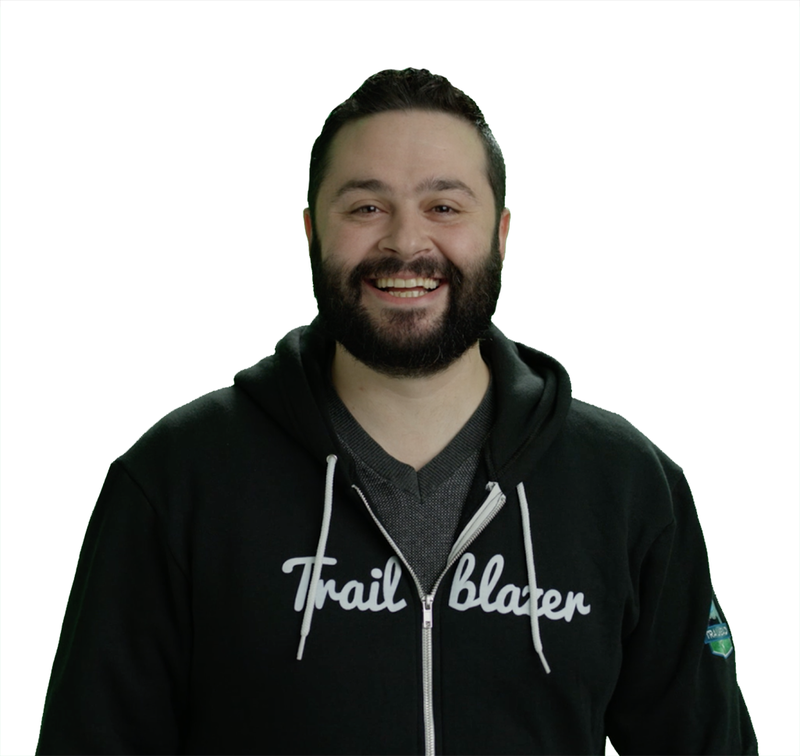 What exactly defines a Trailblazer? 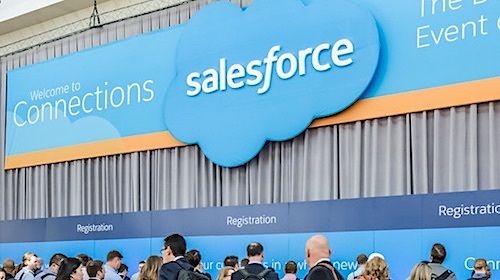 At Salesforce we believe that Trailblazers are, among other things, lifelong learners, innovators, and are often characterized by their willingness to take an unconventional path to success. That, in a nutshell, is John Freyer, Director of Digital Strategy at Melissa & Doug, the 30-year old maker of classic wooden toys that has grown steadily despite a huge toy market crowded with all manner of electronic gadgets. Freyer, who is helping drive Melissa & Doug’s expansion with direct-to-consumer sales, has taken a circuitous route to his current perch, but one that has always been marked by a lifelong eagerness to learn. After studying theater, dance and film in college, he tended bar while hoping for gigs that never materialized. So he took off for an extended trip to Australia where, with no experience, he landed a job at a web development firm designing banner ads. “I learned Photoshop on the job, later took a class in [Adobe] Illustrator, and picked up some HTML here and there,” he says. After returning to the U.S., the largely self-taught Freyer got a job as a web marketing specialist at furniture retailer Ethan Allen (whose ecommerce business runs on Commerce Cloud) where he continued to learn, collaborate with an amazing team, and rise through the ranks. “I went from the tactical role of implementing site features to the analytical, making a case for why we needed to implement features,” he says. At Melissa & Doug, where he’s been since early 2017, he’s part of a team spearheading the toy company’s online direct-to-consumer effort, with Commerce Cloud and Marketing Cloud as its commerce and email marketing core, respectively. The company’s products are sold via more than 15,000 online and brick and mortar retail partners including Target, Walmart, Amazon, and a large number of independent stores around the world. And there’s the rub. How can it build the brand and establish a direct relationship with its customers, while not alienating its its retail partners in the process? “We are brand first, commerce second,” he says. The company has established a deep connection with and an understanding of its shoppers. One example: Price and promotion (the “what”) takes a backseat to the importance of imaginative play (the “why”) on MelissaandDoug.com, with articles on how a particular toy supports a child’s development, for example, or advice from a speech pathologist on toys that encourage speaking. This mission to #takebackchildhood is clearly resonating with its fans/customers on social media; Its Twitter and Instagram channels (combined 92,000 followers) are stacked not with promos for new products but with Melissa & Doug retweets and shares of actual people – mostly Moms – posting pictures of their kids playing with their toys. “We want brand loyalists, people who buy our products because they have a connection to what Melissa & Doug stands for,” he says. 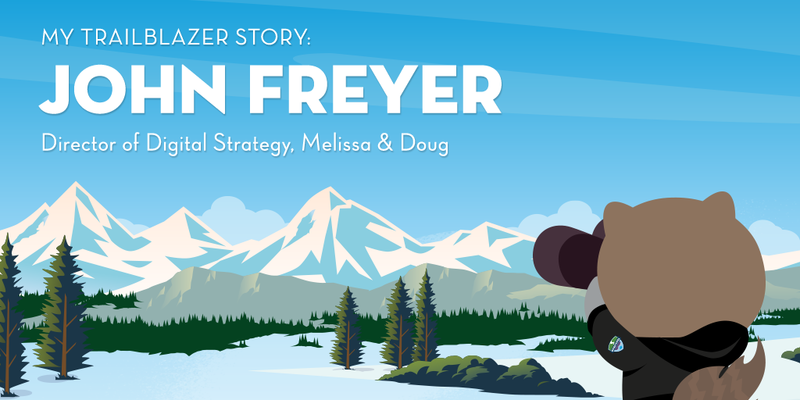 Using Einstein Commerce Insights, an AI-based analytics dashboard, Freyer can see what is resonating with online shoppers (what’s trending, etc.) and adjust accordingly. 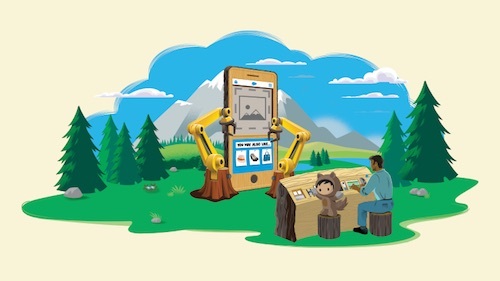 This laser focus on brand, and leveraging Salesforce technologies to speak directly with the people using its toys, has eased any tension it may have encountered with its retail partners as it expanded into direct-to-consumer. 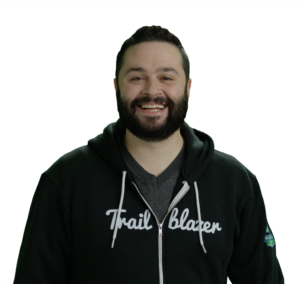 Freyer credits Salesforce as a key component in his career trajectory, particularly the extensive Trailhead learning modules and close strategic partnership with dedicated Customer Success Managers. He continues to learn and tinker. Two examples: he developed his own productivity app, called Jot, when he couldn’t find one he liked, and started a website called TheLime, a social platform to redefine how entertainment pros network and collaborate. 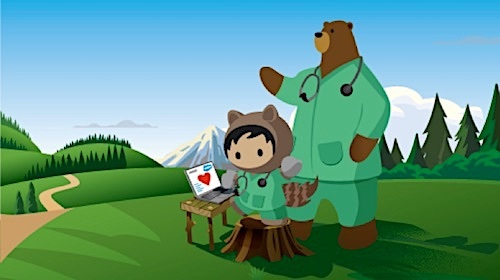 A life of learning and doing has culminated in a keen understanding of the focus on learning that Salesforce brings to bear with Trailhead and other initiatives. Melissa & Doug leverages AI-based personalization to engage more effectively with its loyal shoppers. Find out how personalization impacts the shopper experience in our one-of-a-kind report, Personalization in Shopping.